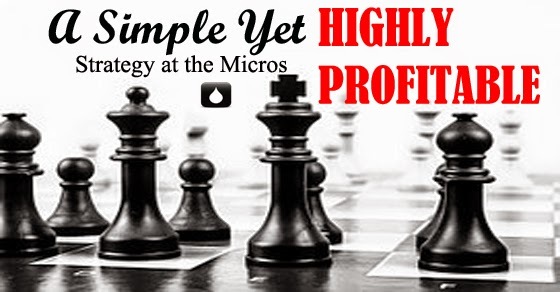 This simple little strategy that I am going to talk with you about today can provide a massive boost to your win rate at the micros even against the best regs. And yet nobody seems to really ever talk about it at all! Ok so enough with the posturing already. What exactly am I talking about? We all know that tilt is a game changer in poker. Even the very best players go on tilt from time to time and much of their technical know-how goes out the window. They begin to play on raw emotion and make snap decisions without thinking. Micro limit players in particular are notoriously known for this. But why should we wait until our opponent hits a huge downswing or we happen to cooler the crap out of them for this to occur? Is there a way for us to put them on tilt or to "get in their head" right now instead? Of course there is! You just start fu messing with them! Now this strategy isn't for everybody and it doesn't come naturally for most either. After all, what I am essentially advocating here is that you go out of your way to intentionally piss somebody off (I will explain exactly how to do it in detail below, don't worry!). We would typically never do something like this in real life though. And I get that. However, poker is war. This is how winning poker players view it anyways. When I sit down at a poker table my goal is to bust every last person there. It might sound harsh but I am not there to make friends and I am not there for small talk. My goal is to get your chips and add them to my stack, period. So therefore I think we should utilize every single edge that we can get. This is even more important in an era when people are constantly complaining about how hard the games are. Everyone is solid! No money at the micros! This isn't actually true by the way. You could always just utilize a little bit of table selection as well as stop playing Zoom and find bad players all over the place. But let's play along anyways. If everybody is a world beater at the micros these days then why waste your time poring over every flashy new technical theory or piece of software that comes out claiming to give you a leg up on solid players? You do realize that we call them solid for a reason right? You aren't going to suddenly find some new way to play AK that is going to shock the world. The mental game is where the really big edges are found these days. The reason why is because most players at the micros are still incredibly weak in this area. In fact you will often find me at the gym before each poker session because I find that this helps keep me more focused at the tables and it reduces my chances of tilting significantly. I take the mental game of poker very, very seriously. Now if you still don't believe the mental game is that important though just go visit any forum, reddit thread or anywhere where low stakes poker is being discussed and you will find somebody complaining about how their aces got cracked 3 times in a row. Oh my God! Sound the alarm! They took a bad beat! This has never happened to anybody else in the history of online poker! And with that their quality of play typically goes right down the pisser as well. They can't believe their awful luck! Nobody has ever run this bad for 2400 hands before. Nobody can understand their pain, all is lost etc. All rational thought gets tossed out the window and they can become just as profitable to play against as the recreational players who we usually look for. This isn't a phenomenon that is limited to the micros by the way. 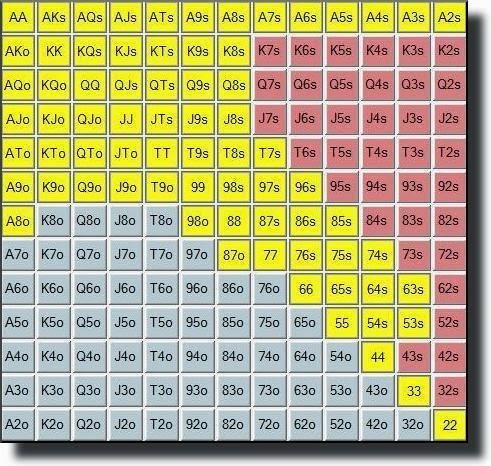 Many people have been commenting for years now that high stakes games only run when one of two conditions is true: a recreational player sits down or a reg is on tilt. Tilt changes every thing. It turns good players, solid players, some times even world class players, into spewy ATMs. So let me break down my strategy to tilt regs here into 5 simple steps. As I mention in my book, at the start of most sessions I will pick a reg who I have on my right on multiple tables and go out of my way to screw with them at every opportunity. Having position (especially direct position) is vitally important here so make sure that this is the case. Often though this will happen by pure fluke. A particular reg just happens to already be on your right on a bunch of tables. Easy, pick him. However, I do want to be a little bit more selective than this at times. I much prefer that the mark be a bad reg (Nit or TAGfish). The reason why is because these players are often marginal winners at best and therefore emotional stability is usually not a strong point for them. This doesn't mean that I won't go after any of the good regs either though. I certainly do from time to time. However, it's just easier and more profitable to pick the low hanging fruit. I should add that I won't be talking about recreational players in this article because it goes without saying that you should be trying to isolate and tilt them at every opportunity already. Lastly, once I have found the mark I want to be clear that I will be targeting them in this particular session only. I always pick a different reg every time. And therein lies another reason why this strategy is so effective. Many bad regs at these stakes will automatically peg me as a maniac for life because I got out of line versus them during this one specific session. The reality is the exact opposite though. My play will actually revert to normal versus them in all future sessions. However, on many occasions I have had weak regs stack off ridiculously light to me weeks or even months down the road just because of the image that I created during this one single session. First things first, I am going to start 3Betting them every single time they open the pot. I don't care what I have, it could be 72o. 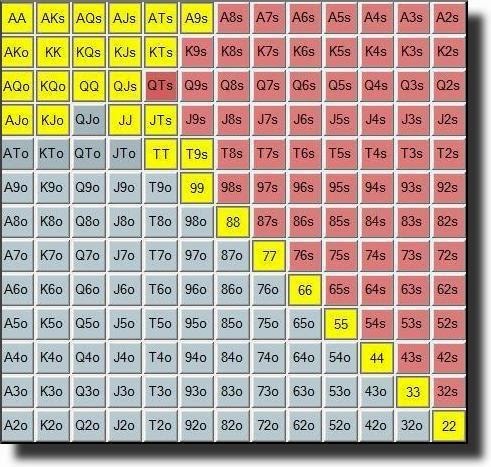 A lot of bad regs play way too many tables these days. Therefore, it will usually take them several orbits to clue in to what I am doing. So I will often get away with it many times in the beginning unless they happen to wake up with a really big hand. I should mention that it is fine to mix in some preflop flatting and postflop floating/raising with any two cards during this stage as well. I tend to lean towards 3Betting them more at the start though because it gets under their skin quicker. You should also be doing all the normal stuff like barreling the crap out of them on scare cards. The main point here though is to be as utterly annoying as possible versus them in the early going and bluff them every chance that you get. Eventually they will start to figure out that something is up. How long this takes varies from reg to reg. It might be just 3 hands with some. It might take 10 or more with another. It is usually pretty obvious when they start adjusting though because they will start doing things which are completely out of character. For instance, they will start calling your 3Bets much lighter than normal or even 4Betting more than they usually would. If you have been flatting preflop and floating/raising postflop then they will start barreling or even bluff re-raising you with a higher frequency. So it is important that we re-adjust at this point as well. Please keep in mind that I might choose to flat or even fold some of the hands listed above. It totally depends on the action in the hand and how my opponent has been adjusting. However, as you can see here this range is mostly made up of broadways, pairs and a few good suited connectors. Not the nuts by any means, but still fairly strong. They absolutely hate to get their entire stack in the middle without the nuts. That is, unless they view us as a maniac. But at this point they are still not sure. They will look at their HUD and see us as a reasonably tight player even if they are using versus hero stats because this is how I have always played against them before. So they will try to reason with themselves that we have just been hitting a sick run of cards. The great thing is that if I can get away with a big bluff or two here (which I often will because it is really hard to make the nuts) then it will almost always be the tipping point which puts them on monkey tilt. And you must remember that even if we get caught it is not the end of the world. In fact it is insanely good for your image. When they see my ten high they will never give me any respect again and I will get all sorts of action in the future. Congratulations! By this point (unless they have been catching a bunch of cards) you have probably ruined this reg's day. He will be foaming at the mouth to get even with you. So it is definitely time for us to re-adjust again at this point. It is all about value now. We aren't going to get away with too many bluffs anymore. Our opponent is going to look us up if he has anything. On the flip side though, this means that we can expect to get some crazy value if we can make a hand. And it doesn't need to be a monster at all. We could win a big pot by hitting top pair or even middle pair because we expect a lot more wild bluffs out of them and our value bets to get looked up almost every time. This is why I still intend to flat them reasonably wide preflop with the intention of calling down light quite a bit. Our implied odds here are literally through the roof. And this is why I stressed how important having position was before. They will literally be fighting an uphill battle against us the whole way. Employing this simple strategy is the easiest way to separate a micro reg from their stack in today's games. And even if it is not immediately profitable due to some run-bad you will often enjoy the benefits of your new terrible image for a long time to come. Most regs at the micros these days have a reasonable knowledge of the technical side of the game. They know roughly what hands to play and where. Many of them can even get away from their aces when you hit your set. You can pull some moves on them here and there but you will never win big with just an ABC TAG strategy. If you want to win big versus the regs in today's games then it is important that you attack their mental weaknesses as well. Get on their left on a bunch of tables and just make their life hell for awhile. Believe me, they aren't used to this at all and they won't take too kindly to it either. You will get all the action that you ever wanted after that! Let me know in the comments below how this strategy works for you. If you enjoyed this article please "Like" or "Tweet" it below! There's some good advice here. It's often said that table image or meta-game isn't important in the micros, and I agree with that in general, but I've certainly noticed regs making weird spews against players (or me) that have been beating them up or sucking out a lot. I also strongly agree that "bad regs at these stakes will automatically peg me as a maniac for life because I got out of line versus them during this one specific session". It's amazing how a note taken on just one weird hand can inform someone's decisions in all future sessions. e.g. it can be dangerous to believe that someone always 3-bets 72o, just because you saw him do it once. Good stuff Jorge, let me know how it goes! I often fold AK pre-flop. the regs never expect that so it gives me a huge edge! Hey Nathan, this is an article that I feel like I personally can't use, probably because I've realized I don't have a good handle against even the fish yet. 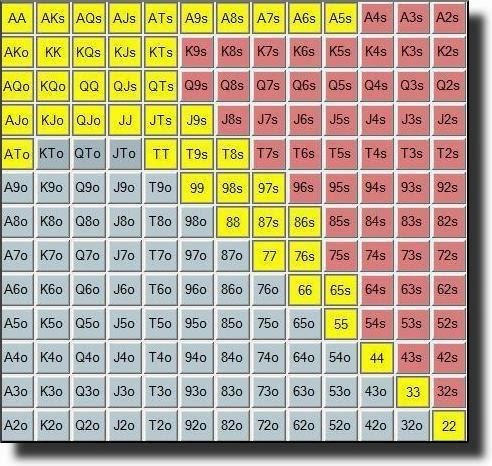 For example, how do you play what is said to be the easiest table where everyone limps? Tighten up? Play the same(maybe more broadway heavy?) range but raise more preflop? What if most of the limpers call my 3xPFR, should I then raise even more from thereon or tighten up? Not knowing very clear answers to what seem like the most basic questions makes me feel like I'm very much in the dark about a wholesome understanding of the game..Do you have any suggestions on how to gain this understanding? I've googled and read popular articles on 'reasons for betting' but still don't have any clear answers. Yes, fish play more hands than they should and we exploit them by punishing them for limping, but if we raise 3xPFR with KQs in MP and 4 fish limp(or if we raise 7xPFR in HJ after 4 fish have limped and 3 of them call), what do we do when we hit TPTK on the flop and face a raise? Makes me feel like I have no right to call them fish when I'm in the dark myself. Does the basis of this type of understanding come with a concept as a revelation(like when I had the revelation of "always think range!always think range!") or bit by bit as you play on? This article is certainly for more advanced players. I have people reading this website who are just starting out at NL2 and people who are crushing NL50 so I try to write content for a wide range of skill levels. As to your question the first thing I would ask is have you read my book, Crushing the Microstakes? Because I talk about all of this in there. What amount to raise when their are limpers, when to CBet etc. It is hard to give a short answer here to all of these questions but I increase my preflop raise amount 1bb for every limper. If all of them call (which is extremely uncommon when raising this amount) and I hit top pair and am raised then I will proceed cautiously, perhaps calling and folding to additional aggression on the turn. It depends heavily on the player type as well though. Thanks, yes, I did read the book twice and took notes as well. I do understand that I should play, read again, play, read again, and repeat to really get a hold of everything. I'm running at 30bb/100 at NL2 right now, but the sample is way too small to say anything. Will let you know when sample is bigger because if my winrate sustains, most of the result will have been because of the book. I wouldn't worry about these things right now. You will learn more through experience. It sounds like your results so far are encouraging and that is the only thing that really matters. Great post as usual. I'm definitely going to give a try to some of these advices. I have just asked a question but its not showing up, please excuse me. What if even before i managed to tilt my opponents and i am already running out of "steam" and bb while they are constantly turning over winning hands against my hands as i try my best? 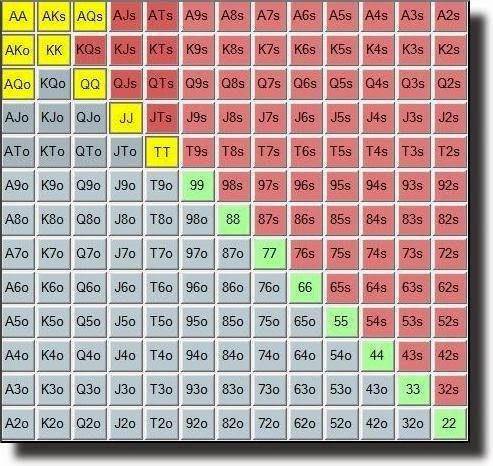 Give it up and play "normal" poker after several failed attempts? Or should i note that occurence and try to get it in after tightening my ranges with hands i would normally be happy to get it in with? Sometimes this strategy won't be effective if you are running bad. I would suggest just giving it up on that day if that is the case. Ya I think this is pretty common practice already actually in mid and high stakes cash games. Not so much yet though at the micros. Thanks Faur, I am glad that my articles help you! Loooks like someone read your post about tilting regs and he did it to me.Guy 3bet me with 67o and get trips.He put me on tilt.Gut 3b with evrything.I start to play 3b pots with him andlosing money.How to defend against that oponnents? Haha sorry to hear! Be patient and pick your spots if this ever happens. Or even just leave the table. Million other ones to choose from. Thanks Br79. A pleasure like always.